Become an integral part of a diverse team that leads the world in Mission, Cyber, and Technology Solutions (MCIS) Group. 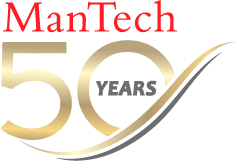 Currently, ManTech is seeking a motivated, mission oriented Senior Microsoft/Azure Developer, in the Clarksburg, WV area with strong Customer relationships. At ManTech International Corporation, you will help protect our national security while working on innovative projects that offer opportunities for advancement. Senior Software Developer with demonstrated experience in the development and support of enterprise level web database applications using predominantly Microsoft technologies. Proficient in Test Driven development (TDD) using tools such as Microsoft Unit Test. Requires eight or more years of relevant experience. Preferred: Bachelor’s degree (in Computer Science or related field) or equivalent.